Williams Sonoma is a leading specialty retailer of high-quality products for the kitchen and home, providing world-class service and an engaging customer experience. Products include cookware, cooks’ tools, cutlery, electrics, bakeware, food, tabletop and bar, outdoor, cookbooks, as well as furniture, lighting and decorative accessories. Each store offers cooking classes and tastings conducted by expert culinary staff. Williams Sonoma Home is an extension of the Williams Sonoma lifestyle, offering furnishings for every room in the home. Williams Sonoma Home products are expertly designed in house at the corporate headquarters in San Francisco. Known for authentic craftsmanship, superior quality and enduring design, Williams Sonoma Home has become a mainstay for consumers and design trade alike. The brand draws inspiration from the entire spectrum of design, spanning from traditional to modern, industrial to organic, rustic to refined, giving customers the ability to create spaces that reflect their personal style. Products include furniture, decorative accessories, bedding, bath, pillows and throws, lighting, window treatments and outdoor furnishings. 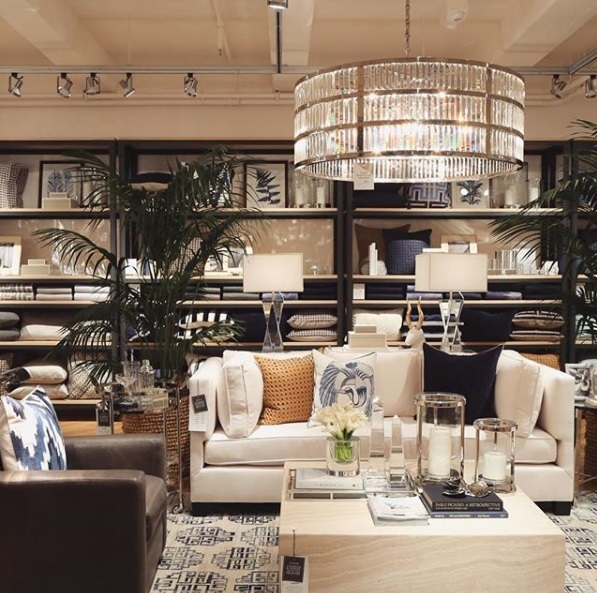 Williams Sonoma Home design specialists are available at all Williams Sonoma stores and provide complimentary in-home design services to help customers bring their design dreams to life.